Dan LaRosa is America’s Fastest and Funniest hypnotist. His spectacular show is off and running while others are still putting their subjects to sleep. His breathtaking and theatrical hypnosis performances captivate audiences with excitement and awesome thought-provoking fun. 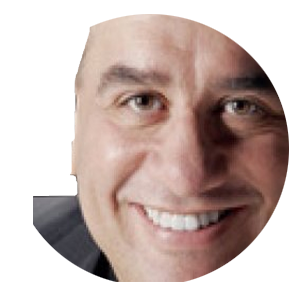 From private corporate events to festivals, colleges and high schools, military bases in US and Europe or large-scale university venues in arenas attended by thousands, Dan LaRosa provides an unparalleled Comedy Hypnosis Show experience for his audiences. Whether you are on a high school committee, a college event coordinator, arranging entertainment for a corporate function or someone interested in booking entertainment for your first event, Dan’s winning show will ensure a successful event. Performing his Comedy Hypnosis Show since 1986, Dan has been successfully entertaining events large and small for schools, individuals and companies worldwide. He has thrilled audiences of all ages for three decades. His show is appropriate for the entire family, and everyone has a great time. In less than 3 seconds, Dan hypnotizes volunteers and transforms them into “stars on stage”. Get Straight to the action! This show goes straight to the fun. You’ll see Dan’s stars fly a magic carpet, journey to a another planet, speak an alien language, sing like superstars, dance the ballet, ride race horses, forget their own names and even become five years old again. As he guides his volunteer subjects through a series of hilarious routines, he also instills messages of self-confidence and personal power..